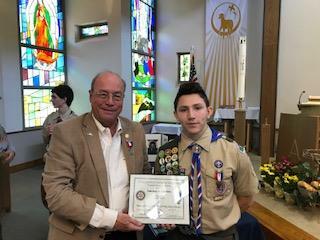 Rotarian Jim Hall presents a gift and recognition to this new Eagle Scout Santiago D. Churion. on Sunday April 22nd. Congratulations on your accomplishment!